One of the important reasons for attending routine dental checkups and cleanings is so that we can thoroughly examine your teeth for signs of damage or decay. 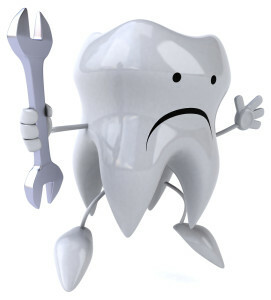 When an afflicted tooth is discovered, treating it is imperative to saving your dental health, and dental crowns are among the most common ways for restoring and protecting teeth. Using advanced technology, techniques, and materials, we can custom-design a dental crown to not only restore your tooth, but your whole smile’s function and appearance, as well. As a restorative option, dental crowns are also frequently used to replace teeth that are lost or extracted. For instance, two dental crowns can support a dental bridge when attached to the remaining teeth adjacent to the gap in your smile. Or, often preferably, we can place a dental crown on top of a dental implant, or surgically-implanted prosthetic tooth root. After your jawbone heals and fuses to the titanium implant post, a dental crown can be secured on top of it, creating a lifelike root-and-crown replacement for your missing tooth.